nickvrebel had the most liked content! Front floor lighting 17 Canyon ??? Which cover are you entering to win? 15-ON Colorado/Canyon 5’ Box Tell us why the LOMAX cover is perfect for your truck? Very clean and low appearance, adds security to the bed. What features are most important to you when buying a tonneau cover, why? 1. Appearance, 2. Security, 3. Keeping my bed contents dry Do you have a tonneau cover on your truck? If so, which cover is it? Why are you looking for a change? 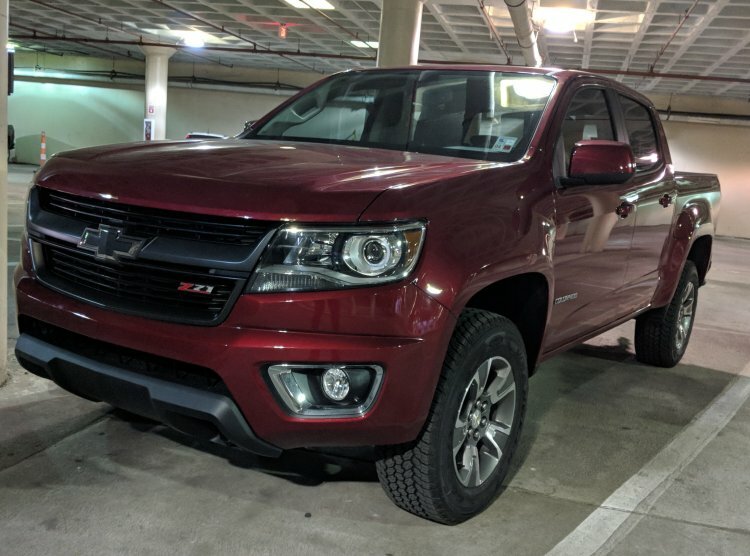 I just traded in a Sierra with a Truxedo LoPro QT, Looking for something with more security and best looking cover. Truxedo had a great product back in 2009, but it's time to move on. What do you use your truck for? Everything from commuting in the City to deer hunting. I need a cover that can protect and secure my ice chest and other hunting gear. Is anyone running Nitto Terra Grappler's? Back when I swapped gears in my 2003 truck I went with a Eaton Limited Slip Differential (a true LSD), I was very satisfied with it, super smooth. My roommate had a Detroit tru-trac that was beaten pretty hard (6.0L swap, cam, stall, +all the other goodies), it never had an issue and was smooth as glass. your factory should be hitting about 2,000...... The best streetable stall that's a little higher would be the stock converter from a Trailblazer that had a Inline 6 cyl. Behind a 5.3L it will stall to about 2200-2400 rpms, yet be very tight and super reliable. I doubt it's your stall that's failing though, most likely the transmission. I swapped from a 105a to a 145a on my 2003. It's a simple swap, you will need a new belt though. The housing for the 145amp alternator is a little bigger, which shifts the pulley a little further out, which needs a longer belt. Just tell them it's on a truck/ suv with a 145amp alternator (ex. 2003 Cadillac Escalade with 145 amp alternator). How many miles between new brakes? Are the pads actually worn down or are you just "hearing a squeak"? Are your calipers rusted to hell? Lubricating the caliper pins? 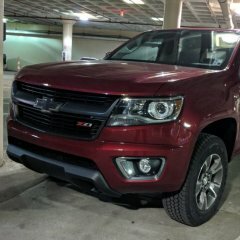 What one option is missing from the new generation trucks? I don't think it's possible to relearn it with a drive cycle. I do know that a Tech II (or whatever the current GM scan tool is), Snap On scan tools, HP Tuners and a few others can run the procedure. Will long tubed headers bolt on? you are correct. I've installed plenty of long tubes on these trucks. You would have to get the Y-pipe that matches the headers to have a straight bolt in operation - BUT - you need to either get a Y-pipe with cats or you will have catalytic converter codes going off. Why do you want long tube headers? really the stock manifolds flow very well. The only time you need long tubes is when you are running a large cam, ported heads and even then it will only make a difference in the higher rpms, which you are in very little while street driving (over 5,000 rpms). It's not worth the trouble for a street truck. The trucks I put them on were serious trucks set up for drag racing.